Introducing our brand NEW Training & Marketing Pack, specifically designed to help hospitality businesses of all sizes use less plastic! 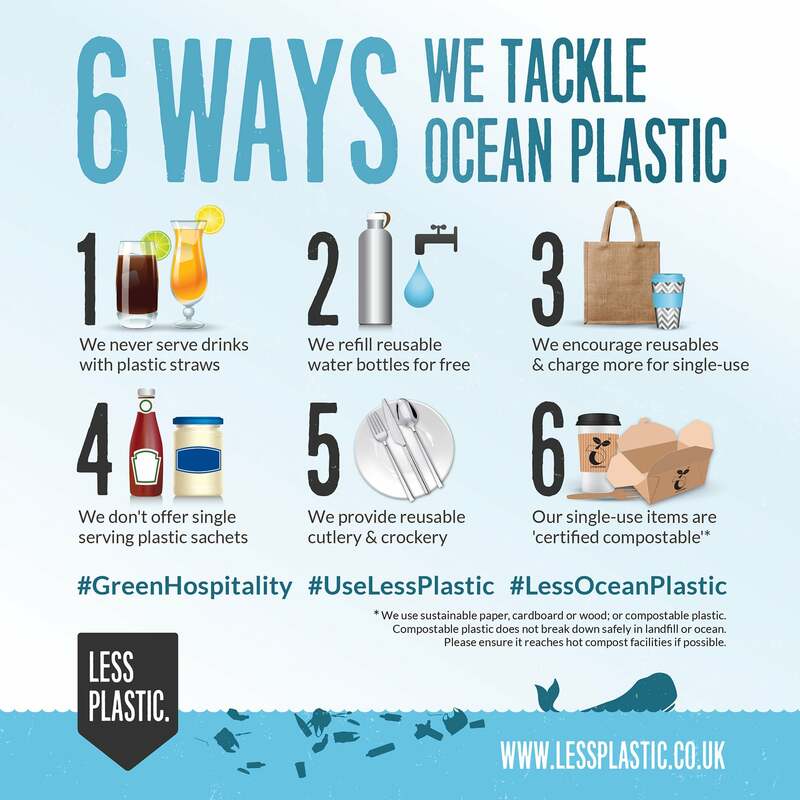 As we’re collectively waking up to the environmental catastrophe caused by our addiction to single-use plastic, forward-thinking businesses are leading the way, taking action TODAY to reduce their plastic use to tackle ocean plastic pollution. Do you own or manage a bar, cafe, pub, restaurant, hotel, or any hospitality business? 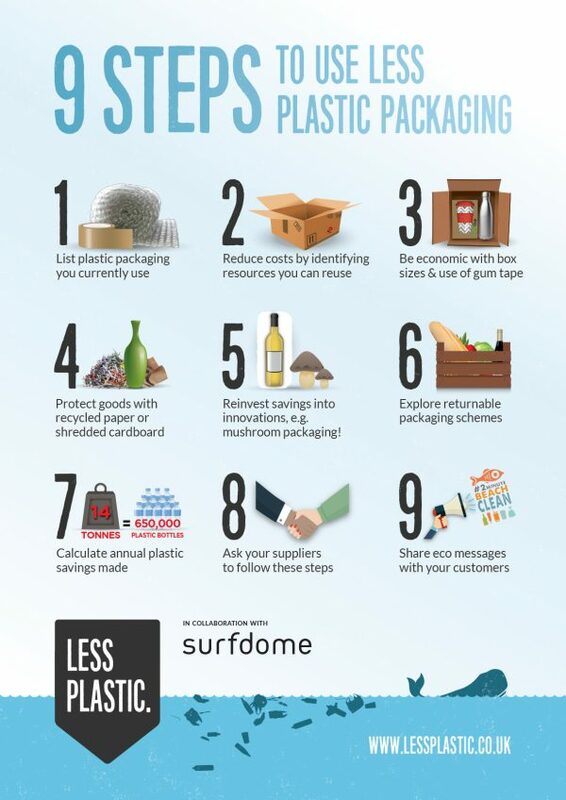 Are you keen to reduce your business’ plastic footprint but don’t know where to start? 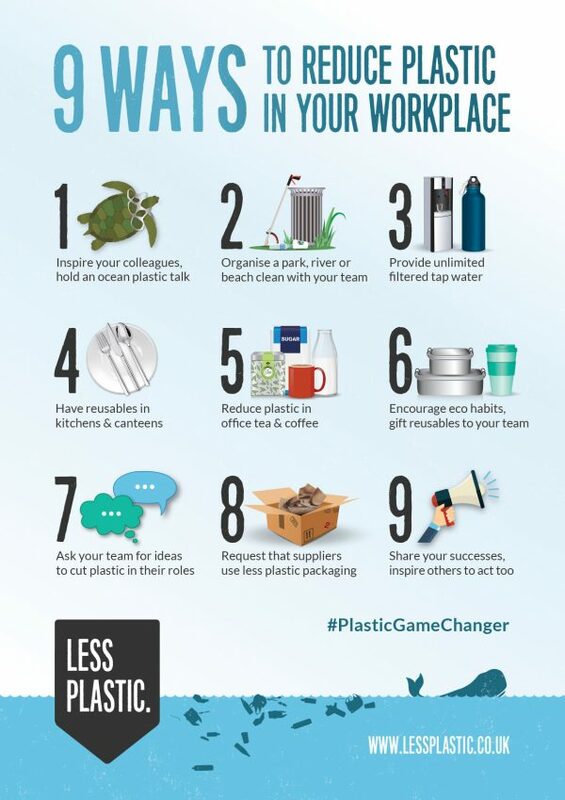 Or maybe you’ve already taken some amazing steps to use less plastic, and need some ready-made materials to communicate these positive changes to your customers and community? We’ve condensed our plastic reduction expertise into SIX easy-to-action steps that will result in a significant reduction of plastic usage from the very first day of implementation! Please contact us regarding international enquiries, or any other questions you may have about this product. 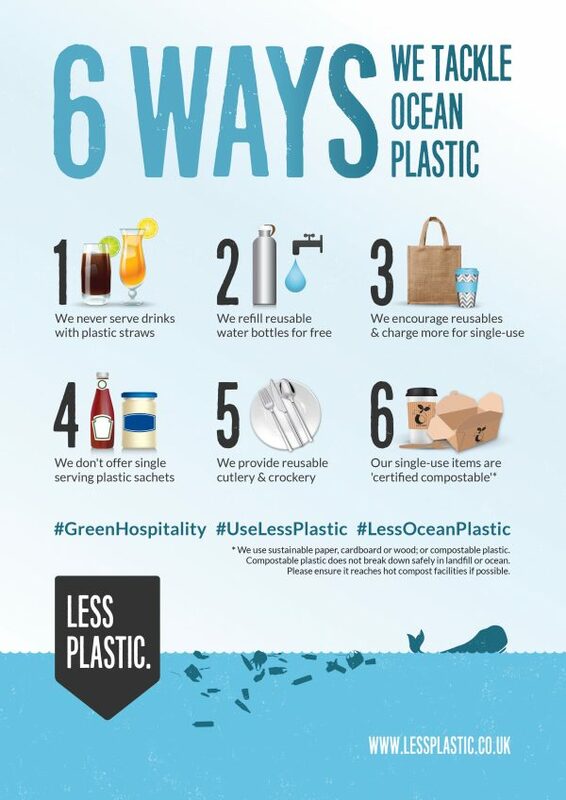 * The focus of these materials is ‘6 ways we tackle ocean plastic’ – therefore for your credibility, it is important you follow the steps detailed on the infographic and in the accompanying PDF document before displaying the printed materials on your premises or posting the image online. 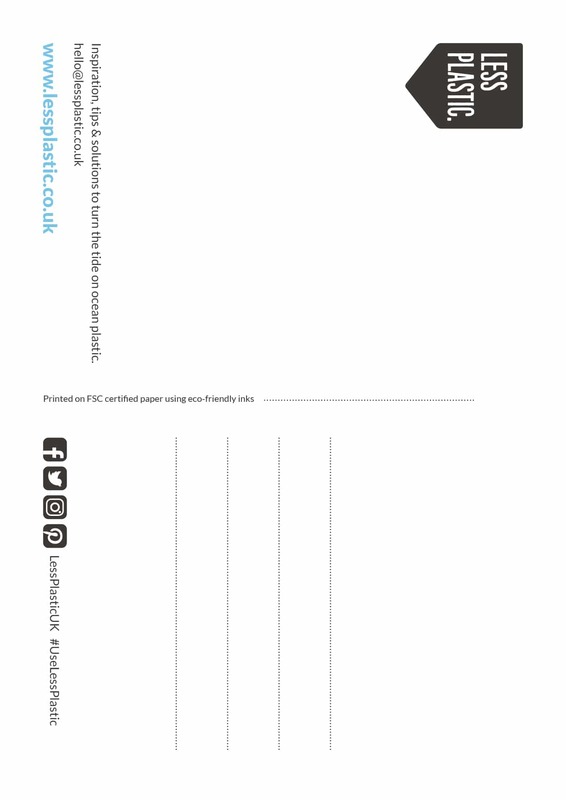 Introducing our brand NEW Training & Marketing Pack, specifically designed to enable hospitality businesses of all sizes to use less plastic! As we’re collectively waking up to the environmental catastrophe caused by our addiction to single-use plastic, forward-thinking businesses aren’t waiting for government legislation, they’re leading the way, taking action TODAY to reduce their plastic use to tackle ocean plastic pollution. 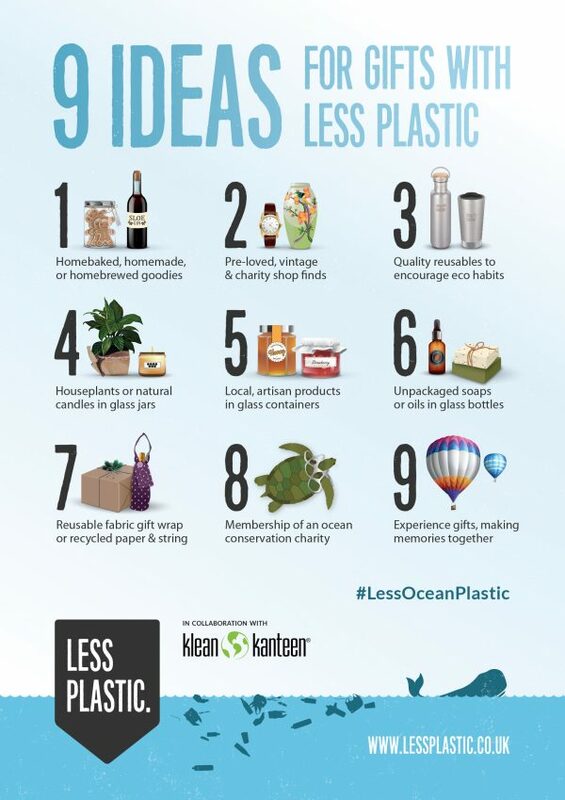 Or maybe you’ve already taken some amazing steps to use less plastic, and need some ready-made marketing materials to effectively communicate these positive changes to your customers and community? We’re here to help! 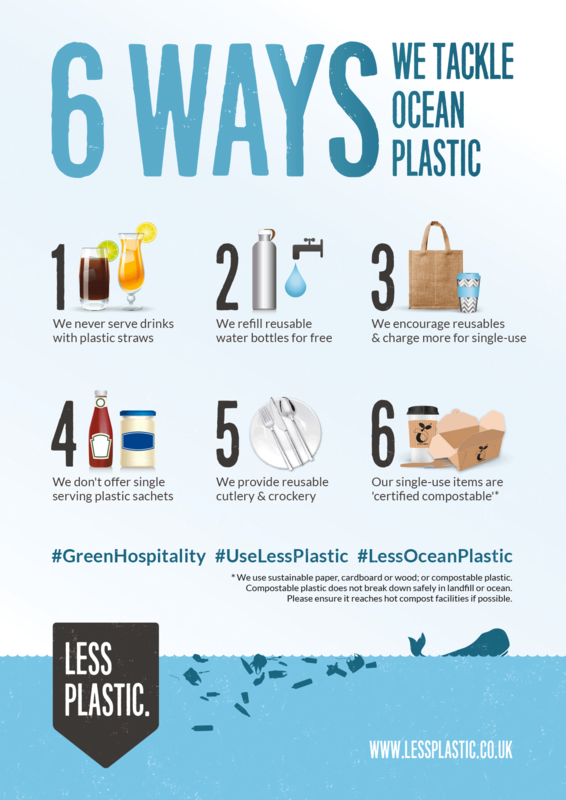 We’ve condensed our plastic reduction expertise into SIX easy-to-action steps that will result in a significant reduction of plastic usage from the very first day of implementation! What’s included in our Training & Marketing Packs for Hospitality Businesses? Our Training & Marketing packs are available in 3 sizes to suit the requirements of your hospitality business. Please select the size of Training & Marketing pack you wish to order (see below) and allow up to 10 days for printing and delivery, although it is likely to be much quicker. These items are printed on-demand and prices include UK delivery.